The meeting of the Regency Tower Association, Inc., Board of Directors was called to order at 7:00 P.M., Wednesday, December 12, 2012 by the President. Roll Call - The roll call showed the following Board Members present: Iris Anastasi, Abe Ben-Aviv, Eileen R. Bendis, Eric Berkowitz and Cathie Lenz. Excused: Margaret Thompson and Eugene Sicoli. Approval of Minutes - Iris Anastasi made a motion to approve the minutes of the November 7, 2012 Regency Tower Association, Inc., Board Meeting. The motion was seconded and passed with unanimous consent. President’s Report - President Eileen Bendis read her President’s Report. Click Here to read the President’s Report. We are going to open an account with another bank in order to be within FDIC limits. Assessment receivables continue to be aggressively tracked and pursued. The largest single item is Apt 1508 totaling $24,797.76. There is currently only one other delinquent unit that is being handled by our lawyers. The fully funded balance for total reserves at year end is $205,676.94. As of 12-1-2012, all policies have been renewed for total premium, taxes and fees of $363,630.70. Of this amount, $328,012.18 has been financed at a rate of 2.25%. Dwight and I worked closely with our SWP (Smith, Watson, Parker) agent and his assistant to accomplish these renewals in a timely and cost effective manner. We found an error in the budget that was mailed to all unit owners in early November. In the “Operational Revenues” addition, we included the sub-total of $66,939—the sum of the individual categories-- thereby over-stating revenues by that amount. The corrected budget total for “Total income with partial reserves” is $1,459,647 vs. $1,526,586 in the original version. A number of expense items were ‘re-worked’ in order to foot the total income to the total expense. All board members have been provided the corrected budget, on which they will vote later in this meeting. Copies of the new budget are available here, after the meeting. Board Vote on CY2013 Budget - A motion was made by Abe Ben-Aviv to approve budget as submitted; it was seconded and passed unanimously. Manager’s Report - President Bendis then called for the Manager’s Report. Click Here to read the Manager’s Report. Committee Reports - President Bendis then called for Committee Reports. Click Here to read the Committee Reports. New Business - President Bendis then called for New Business. Click Here to read the New Business. Please report any leaks in your units; even if you dry them up, let us know. Water finds its own path and it may have already leaked into your neighbors unit underneath or beside you. Our floodbusters have been a great success however, in detecting water in AC closets. If you have a rental car please register it with security, even if you are an owner. We need to know that the cars belong on our property and in our garage. Have you checked your bicycle lately? Please, if you haven’t taken it out in the last year, maybe you would consider giving it to charity. Bicycles must be tagged and if not, we will give them to charity. Please note that your signature must match what we have on file on your voting certificate. If you sign with initials, do so on everything. Only one person in the unit is the voting representative until you decide to change the voting certificate. If something requires a proxy (i.e. the funding of the reserves), you need to sign and send the proxy in. We need to have a majority of the voting interests to participate or things will not get passed. This was not a problem with funding the reserves account, but I feel we should have had a better response. Adjournment - A motion was made by Cathie Lenz to adjourn at 7:30 PM, seconded and passed unanimously. Hello and welcome back to our “snow birds”. We hope those of you involved with “Superstorm Sandy” remained safe and can now enjoy your home in the South. Having had experienced many hurricanes over my 43 years in Ft. Lauderdale, I sympathize with you and hope the recovery was smooth and successful. As you can see, we also had some residual effects of the storm. I apologize for our beach erosion but, believe it or not, it was not my fault! Mother Nature is the landlord and we are only the renters, and I’m not too sure we passed the screening! We are doing everything possible to accommodate all cabana owners and beach goers. We have already pulled permits and paid to have the sand moved and leveled, but as you can see, we still have about 3 feet of extra sand at our seawall, burying much of our new sea lavender. The Beach Raker who planted them swears to me they will eventually pull through the sand, since they are made to live and flourish in the sand. Please be patient. We are very fortunate, that this is all we encountered. The project of the hurricane impact glass doors is moving right along with much success. We now have almost 100 unit owners who changed doors and everyone who has just loves them. It brightens up the living room so much. We will probably do another sign up in mid-January or early February. If you are interested please leave your name in the office. I’m really proud of the way our maintenance department has stepped up to the plate and is working so diligently to clean, repair, replace, paint, and polish our building. They haven’t stopped since last summer. 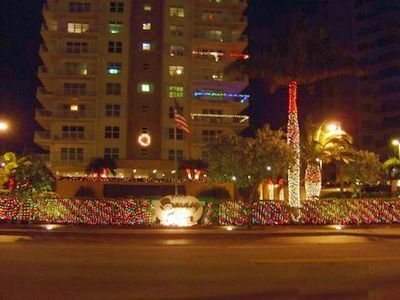 And lest we forget, they have put up the best holiday lights on the Galt Ocean Drive! When you see the guys, be sure to let them know you appreciate all their efforts. I know I do. Speaking of holiday decorations, I would like to thank Margie Nagle for all her help with the lobby decorations. As chair of the beautification committee, she works so hard to update the building on a very limited budget. Our manager, Dwight Lyons, has really focused on replacing rather than patching some major items in our building. Things that should have been done years ago are finally getting the attention they need. I’m not sure when or if all the elevator landings and trash rooms were ever cleaned, polished and painted from top to bottom. Thank you. I can’t even begin to say how lucky we are to have Cathie Lenz as our Treasurer. She has, with the help of Kande, our staff accountant and Dwight, overhauled our accounting system. New auditors and procedures are now all in place. Regency Tower has never been so organized financially as it is now! Did you notice no increase in quarterly assessments?! In closing, know that your Board of Directors is here for you. We are open to suggestions and will do the best to accommodate you within reason. Just put it in writing. I hope you appreciate all the improvements that have been done and know that we will continue to work to maintain this momentum. First, I would like to thank the maintenance staff for a job well done during the off season. Boy have we been busy! Upgrades to AC system, vents, mud legs and one circulating pump. Painting of pool entrance gate. Painted Rendezvous Room, staff hung new kitchen door. Lobby furniture and window sheers were professionally cleaned. Chandelier cleaned. Put early warning flood detectors in all AC closets. Flood Busters. Cleaned, repaired and painted needed doors in hallways. Replaced pool pump, helped repair pool leak as required by contractor. Replaced lobby AC and 2 hallway AC’s. Staff did prep work on concrete repair and painting for exhaust fan replacement. Opened wall in game room and found water leak, repaired same. Painted lobby, replaced push plates and kick plates. Replaced package room vented door. Painted fire doors in pool hallway and added new kick and push plates. Added new perennial landscaping at lobby entrance to save on landscaping costs. Upgraded all life safety concerns, new fire hoses on each floor, new sprinkler heads in trash room and pool hallway and replaced aging AED chest pads. Conducted CPR / AED class for staff and BOD members. Painted garage trash room floor. Replaced benches in lobby front area. Repaired trash room doors (rust) and balcony doors and painted same. Added new kick and push plates. Added new containers for recycling for odor control. Professionally cleaned elevator landing & trash rooms tile and grout and sealed. Major drainage project completed, under garage, north side drain pipe replacement and parking lot well and collection areas cleaned. Finally, please bring to my attention any items that you feel a need to be addressed and discussed. Please call the office and let me know when it would be convenient! to everyone here at Regency Towers! Since the key to maintaining a 42 year-old structure is preparation, the board must lay the groundwork for upgrading systems that are critical to association operations. Last year, Treasurer Cathie Lenz commissioned a study by Reserve Specialist John R. Frazer. Cathie believed that funding reserves to replace expensive building components is less financially painful than getting hammered by special assessments. Also, adequate reserves are required by Federally-backed mortgage lenders to approve prospective purchasers, which impacts unit values. Since Reserves are based on amortizing the replacement cost of an item over its projected useful life, the analyst identified structural and mechanical components that would soon need to be replaced. Among those were the heat pumps that warm our pool, the rusting fan that used to vent our garage and the rooftop cooling tower that enables our air conditioning system. Three subsequent infiltrations brought several problems to light. In addition to an initial wave of water through the garage entrance that stopped after a few minutes, effluent filtered up through drains in the garage floor. Although marginally related to the flooding, the deteriorating 43-year old cast iron drain that spanned the north garage continuously leaked onto vehicles parked along the north wall. Board President Eileen Bendis requested a plan to address the flooding and drainage dilemmas. Consulting with our Engineer, a rehabilitation strategy was affixed with a completion date of Thanksgiving 2012, when the seasonal increase in garage traffic would hamper repairs. In each of the four instances when our garage was infiltrated, significant flooding occurred primarily during the opening minutes of a heavy rainfall, fully abating after the initial wave. Our gravity well, which ordinarily expels excess drainage when the water table climbs above grade, wasn’t efficiently evacuating the initial effluent. Also, when plunging a piece of dowel into each of the lower driveway catch basins, we discovered that they were 40 to 50% filled with debris. First, we invited bids from companies specializing in drainage diagnostics. Using closed circuit cameras mounted on mechanized crawlers, bid-winner Shenandoah Construction scoped three drain lines that evidenced possible blockages, those under the north and south garage floor and the line connecting the three streetside catch basins with the municipal sewer on Galt Ocean Drive. While vacuuming the lines, Shenandoah extracted huge amounts of silt, sand, rocks and rusted flakes from the deteriorating cast iron drains under the north and south garage floors, which hadn’t been cleaned since Regency Tower was first occupied in 1969. 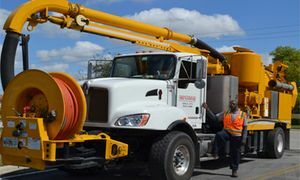 The crew also removed debris that collected and solidified in the exterior lines connecting the catch basins to the street. The multiple blockages accounted for the unusual 10 - 12 foot geysers erupting from the central catch basin at the onset of a heavy rain, as water accelerating through the constricted lines near the two ramp basins collided at the central basin. 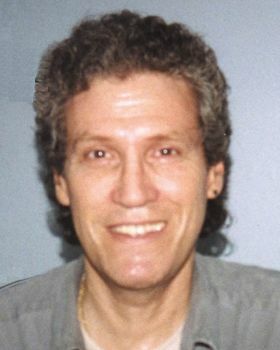 After consulting with platform designer Brian Degirolmo about the lower driveway servicing requirements, John Evans solicited a proposal to rehabilitate the well, the catch basins and the connecting French Drains from Jaffer Wells, the vendor that excavated the well eight years ago. 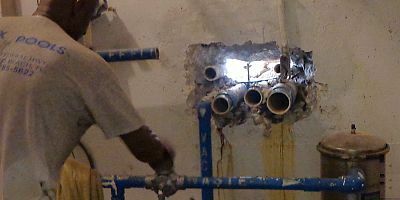 While waiting for Jaffer to assign a start date, bids were invited from 3 plumbing contractors to replace the fast-deteriorating cast iron north garage drain line. On November 13th, vehicles parked along the north garage wall were relocated outside for two days while Coastal Plumbing installed a PVC drain line suspended from new stainless steel hangers. 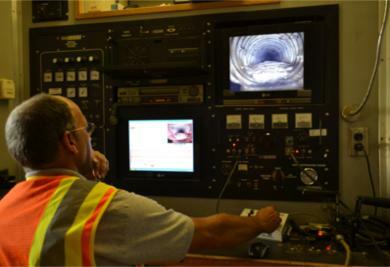 On November 16th, Jaffer commenced a three-day exfiltration that nearly filled a large dumpster with debris filched from our 161-foot well. 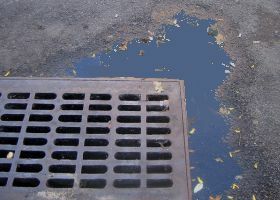 On November 19th, Jaffer subcontractor Environmental Performance Systems (EPS) began cleaning out the 6 catch basins, the sediment tank, the connecting French Drains and the garage-front trench drain. To test the system, the crew mimicked flood conditions by forcing the water in a fully loaded vacuum truck through each of the basins with a high-pressure hose. The water was instantaneously evacuated and the system performed flawlessly. The plan to correct all three drainage problems was completed one day before Thanksgiving. Since last March, of the 16 Architectural Reviews that were performed, 9 required building permits, 4 required sound underlayments and not one unit received a violation. Thank you for your kind attention and Happy Holidays to all. Committee Members: Margie Nagle, Eileen Bendis, Heida Boucher. Margie Nagle gave a brief update on various projects and holiday decorating. "In November we started working on the holiday decorations. 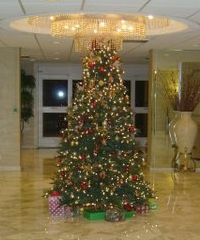 Eileen and I retrieved the holiday decorations and turned the lobby into a Seasonal Wonderland." They personally trimmed and decorated the tree and set up the Menorah for Chanukah. The entire ground floor was magically transformed throughout the Holiday Season. Following Margie's lead, maintenance staffers created a building exterior display that was reminiscent of a transplant from Disney Village. Given her modest beautification budget, Margie squeezed every dime. Margie also explained how she did so much with so little, "We went to the high end stores to get ideas, then shopped at discount stores for the same look." Margie said "It was not that easy since I have expensive taste and a low budget." However, despite her shoestring budget, when the Galt Mile Community Association voted on the Season's best display, Regency Tower tied for first place (with Regency South). "Thanks to our building workers - Mark, Rocky, Tommy, Nesly - for their hard work," said Margie. I also want to thank my Committee members, Eileen and Heida for all their help. Good evening all residents, welcome back. Time is flying, another year is going away and a fresh new year is knocking at our doors. First of all, I would like to express my gratitude to all the support our Department received all year long from the Board of Directors, especially the president Ms. Eileen Bendis and from the Manager Mr. Dwight Lyons. Without their guidance and leadership we couldn’t perform our duties. Most of Officers are working here a few seasons, and all of us are glad to see your returning faces again. We are continuing to hold monthly meetings with mandatory presence. We, as always, use the slow seasons (Spring and Summer) to try and train on new procedures and work in our weakness to be ready to make your stay with us the most pleasure is possible but, of course, we have room for new ideas and suggestions to improve our work and we are counting on you (residents, guests and visitors) to assist us, please submit all of them to the Board of Directors and, if approved, we will change or add in our daily duties. We, Security and Safety Officers, are engaged in work for the association helping to maintain a good grip on enforcement of our building rules and regulations. Our goal is to make The Regency Tower Building, the most Secure and Safe building in the Galt. In the name of our Department staff, we would like to wish to you and to your family and friends a safety and secure holiday season and a lot of Heath, Peace and Prosperity all year long. Safety Tip: When you drive into the building, always use the south side ramp and to exit always use the north side ramp. This will help avoid accidents. Members of the new formed “We Care” Committee are: Naomi Griner (2020), Margie Nagle (911), Joyce Ramey (501) and Joyce Woodward (307). 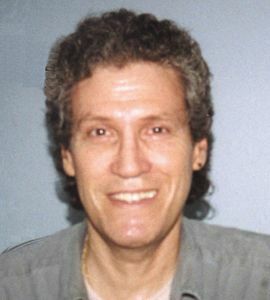 Kenneth Wolnowski (504) - was admitted at Holy Cross Hospital last December 31. Note in B.B., card sent. Linda Pines (1009) - was admitted to the Broward General Hospital. On January 12 she underwent heart surgery. 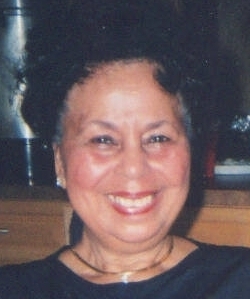 Adelina "Ad" Wilson (909) - fell at home Thursday, January 12. She was taken to the Holy Cross Hospital and was admitted. She had suffered a fracture. On January 14 she was transferred to a Rehabilitation facility. Note in B.B., get well card sent. Alton Hollis (904) - had tests at Holy Cross for several days after January 26. 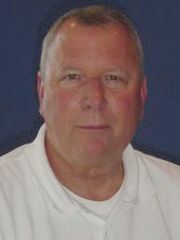 Jack Kooby’s sister (Margo) - passed away on Saturday February 19th. Her funeral was in New York. Shirley Hopkins (1411) - went to Holy Cross for knee replacement surgery. Note in B.B., card sent and upon her return home we sent an Orchid plant. 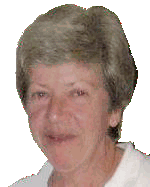 Ann Petroe (709) - passed away. Note in B.B., funeral took place in New York. 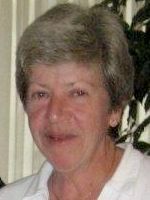 Marion Tuman (201) - fell at home in early June 2012. She was taken to Holy Cross Hospital where she underwent surgery for a fractured hip. Note in B.B., card sent and a plant was sent upon her return home. 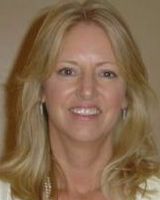 Linda Pines (1009) - had back surgery at Broward General Hospital. Note in B.B., card sent and flowers were sent upon her return home. Dr. Christy Feneck (1807) - passed away last Friday the 27th. His funeral took place in New York. May God bless his soul. Note in B.B., card sent and Trees were planted in his memory. Mrs. Susan Larkin (1611) - had heart surgery in late July at home in Ontario. Nancy Seltzer (311) - had back surgery. Card was sent and roses upon her return home. Joe Anastasi’s mother - passed away on Sunday, the 19th of August. 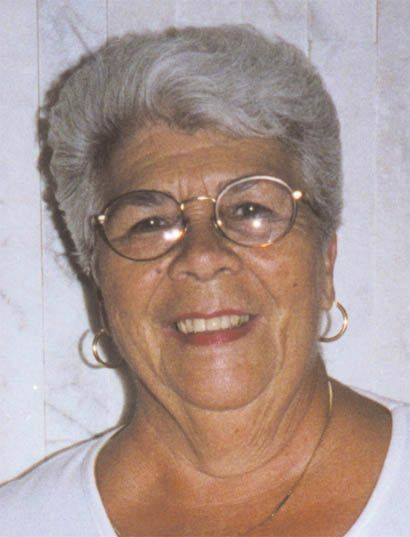 Lorraine Rondeau (1202) - passed away at her home in Massachusetts. Note in B.B., card sent, also Perpetual masses card sent. Lou Freeman, one of the original owners in our building (1806) - passed away in Savannah, Georgia. Note in B.B., card sent and Trees planted in his memory. Thomas Allen (902) - had kidney surgery at home. Shirley Hopkins (1411) - was admitted to Holy Cross Hospital in mid-January. Get Well cards and/or expressions of love may be placed in her Mail Box #1411. 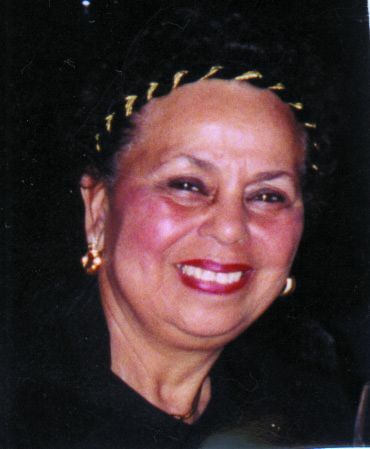 Martha Sellas (802), one of the original owners in our building - passed away this morning (February 11, 2013). She will be greatly missed. Visitations will be on Wednesday the 13th from 6 p.m. to 10 p.m. at Kraeer Fairchild Funeral Home 4061 N. Federal Highway, Fort Lauderdale. Funeral services will be in Chicago, Illinois. Sympathy cards and /or condolences may be placed in her Mailbox #802. The Regency Tower web site had 101,037 hits and 3,029 unique site visits (first timers) in November and 89,463 hits and 2,962 unique site visits in December. Countries other than the United States from which the most December hits were sourced are the Canada, France, China, Malaysia, Brazil, India, Russian Federation, Uruguay, Germany, Singapore, Ukraine, United Kingdom, Australia, Trinidad and Tobago, Colombia, Czech Republic, Poland, Mexico, Cayman Islands, United Arab Emirates, Argentina, New Zeeland (Aotearoa) and South Africa. Since the last web site report in March, minutes of the November 7, 2012 Budget Presentation Meeting were uploaded, detailing terms of the Board’s 2013 spending plan as described by Treasurer Cathie Lenz. Data from the previous March Board Meeting was relegated to the site’s Archives. 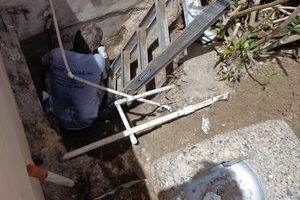 On April 18, an article that initially described the association’s drainage problems was posted under Special Updates. It provided much of the rationale for the strategy we ultimately used to address the growing problem. 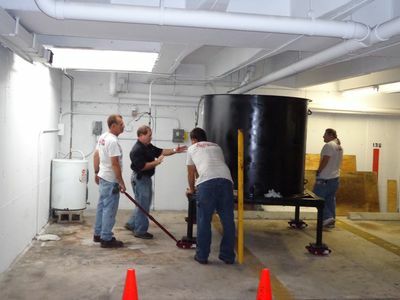 On July 27, an article was posted that outlined events surrounding the discovery of a sub-surface leak in the lines connecting the pool to the pump room. 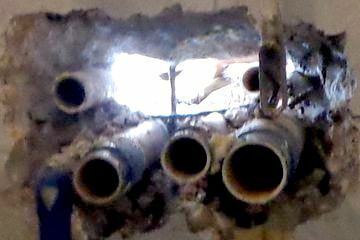 Originally exposed by a the unusually high daily losses of water from the pool, more than reasonably attributable to evaporation, a crack in the pump room connector was feeding $hundreds of water into the landscaping next to the pump room wall. Thanks to our maintenance staff and Vendor Knox Pools, the pipes were replaced and the damage repaired. On August 16, a story about our new garage fan was posted on the Special Updates page, complete with pictures of the installation. On November 2, a history of our negotiations with Comcast during the past year was explained in detail. The article explains service changes in the new contract and considers prospects for competition in the near future for bulk television services. Long-neglected Employee Profiles still haven’t been updated. 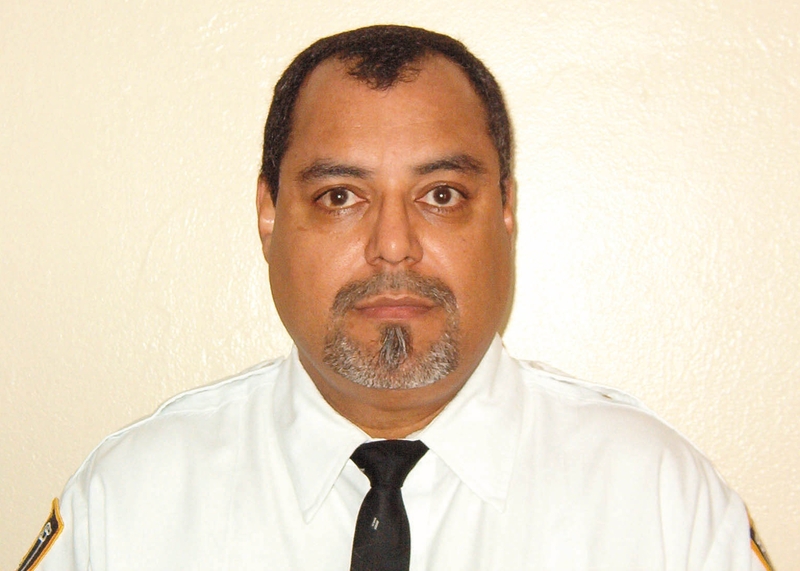 Aside from mini-bios for Manager Dwight Lyons and Staff accountant Kande Lewandowski, not one profile was added. It appears that we will muddle on without this helpful information until I receive mini-bios for the remainder of our talented staff. If the past is any indication of the future, don’t hold your breath. On the General Information page, scores of links to vendors, products and places have all been updated. The monthly “Around Town” section on the Home Page offers roughly a dozen new events every four weeks. Along with the Holiday Happenings and Menorah Lightings, Art Walks through the North Beach neighborhood and Las Olas Boulevard, the Downtown Delray Beach New Year’s Weekend Art Festival, and the Sun Coast Gun & Knife Show, this month’s section features regional and local signature events, including the Winterfest Boat Parade, Las Olas Art Fair, the International Gem & Jewelry Show, and the annual Downtown Countdown New Year’s celebration. Most of the events are free. Thank you for your kind attention. December 12, 2012 - President Eileen R. Bendis called for New Business. A motion was made by Abe Ben-Aviv to approve budget as submitted; it was seconded and passed unanimously. A motion was made by Eric Berkowitz to approve the new Comcast Contract as approved by counsel; it was seconded and passed unanimously. A motion was made by Cathie Lenz to approve the new procedure on competitive bids and it was seconded and passed unanimously. A motion was made Iris Anastasi to close the social room one hour earlier 11:00 PM vs. midnight; it was seconded and passed unanimously.